The University of California, San Diego has signed one of the strongest fair trade policies of any university in the nation. The policy makes a commitment to promote fair trade certified products, support sustainable business practices and humane working conditions that prohibit the use of child labor. UC San Diego students, staff and faculty worked together to develop the new policy, which will require all future food and vendor contracts at UC San Diego to sell 100 percent fair trade coffee, tea and sugar at all locations on campus. “UC San Diego has made a strong commitment to sustainability, from education to research and campus operations,” said Mark Cunningham, director of Housing, Dining and Hospitality at UC San Diego. “If we show these citizens of tomorrow that they can contribute to sustainability by practicing social consciousness through their purchases, then they’ll take these good consumer habits out into their future world”. 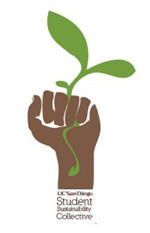 The fair trade campaign was originally conceived by the UC San Diego student organization One Earth One Justice (OEOJ), a group dedicated to raising awareness about environmental and social justice issues. OEOJ worked over the years to successfully advocate that individual vendors on campus phase out non-fair trade products. 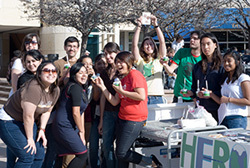 This past year, other students groups such as the Student Sustainability Collective (SSC), a student-run component of the UC San Diego Sustainability Resource Center which includes members of OEOJ, worked with faculty and staff to spearhead the campus- wide campaign. The support of UC San Diego Chancellor Marye Anne Fox and Cunningham was an essential part of the campaign’s success, according to SSC co-founder, Chris Westling.